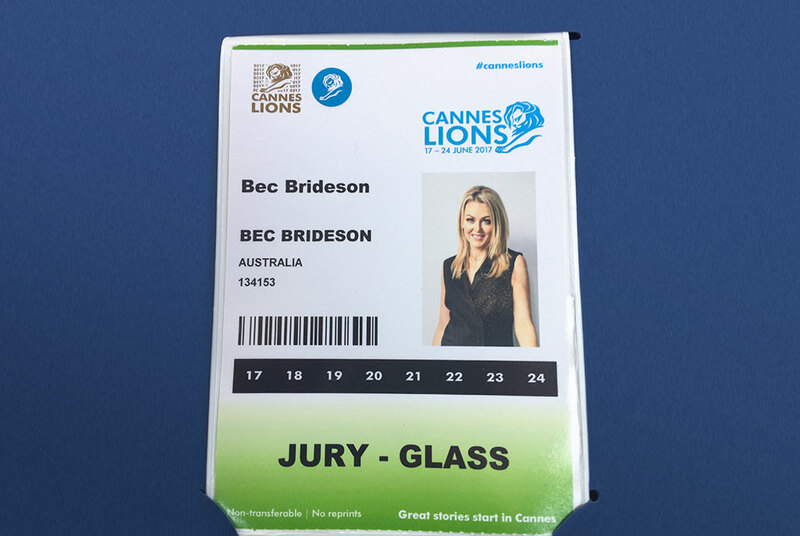 Bec Brideson, Advisor, Speaker and Author, is representing Australia on the Cannes Glass Lions jury. Brideson, along with most of the other Australian and NZ jurors write exclusively for CB. Two years ago when the first ever Glass Lion of 2015 was awarded, I was the first Australian female to speak at Cannes about marketing and the missed opportunity with the female economy. Two days ago I spoke at The Indie Summit in the UK – a conference for owners of global independent agencies. My subject again highlighted the #blindspots in this industry. (My book on Blind Spots launches in Aus, September 2017). I was so pleased to speak with Cannes Lions Chairman Terry Savage last night at welcome drinks. He is incredibly committed to making sure women’s voices are heard and that our industry becomes educated and aware of the role of unconscious bias in our day-to-day work.